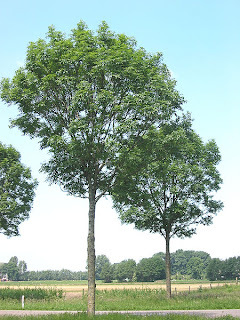 The name of the game is Fraxinus, which borrows its title from the tree of the same name, fraxinus excelsior (more commonly known as the ash tree). Across the United Kingdom, the ash trees are dying from a disease called Ash Dieback. The disease is caused by a deadly fungus called Chalara. The ash tree is susceptible to Chalara due to something in it's genetic code. Scientists from the The Sainsbury Lab of East Anglia and their colleagues at the Genome Analysis Center and the John Innes Center among others are investigating Ash Dieback. They are analyzing the fungus samples taken from the infected trees, however the amount of DNA for them to sort through is staggering. The machines that they use can only sort through small strands at one time through a process of sequencing and assembly. This is where you come in. These scientists need help figuring out how these strands fit together because it's not always so clear cut and requires a closer look. By playing the Facebook game Fraximus you can help by using your ability to spot patterns. The aim of the game is to create draft genomes which are made up of nucleotides (21 to be exact) and you have to match the strands. The pattern recognition of humans is much better than any computer algorithm, and the higher your scores the better draft genome you create and the better the draft genomes, the more help you can offer in the research of Ash Dieback. The entire genomes of the Chalara fungus and ash trees are 60 million and 954 million nucleotides long respectively. So any help these scientists can get is invaluable. If no strides are made in the research on Ash Dieback, as many as 90-95% of the UK's ash trees will die. I spent some time playing Fraximus and it went over my head at first. However, I took another shot at it and I was able to make more sense of what I was doing and it seems simple enough. Just move all the rows over until they closely match the above pattern, I didn't even need to remove any of the nucleotides (maybe this will become important in later levels).